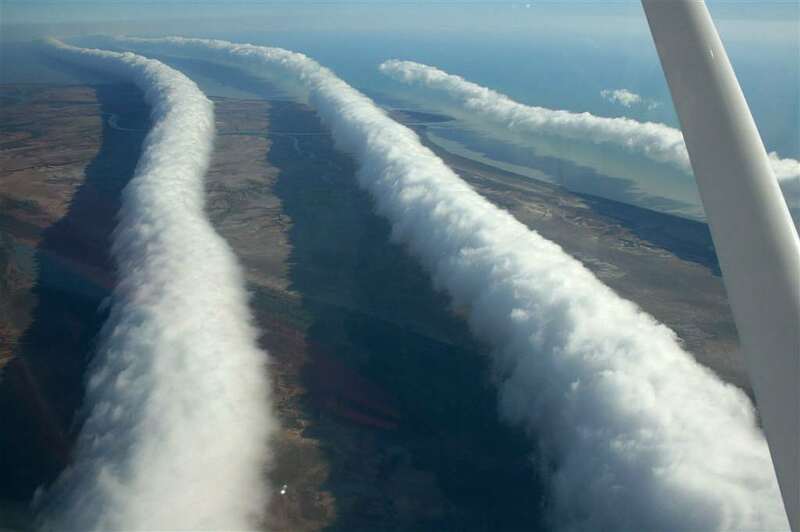 To the south from the Carpentaria Gulf there is seen extremely unusual weather phenomenon – Morning Glory clouds of Carpentaria Gulf. It happens (and rather often), that early in the morning above the surprised spectators "roll" over one or few roll clouds – long, low, narrow clouds resembling giant, up to 1,000 km long ropes. Elsewhere in the world, this is a very rare phenomenon but here it is frequent. 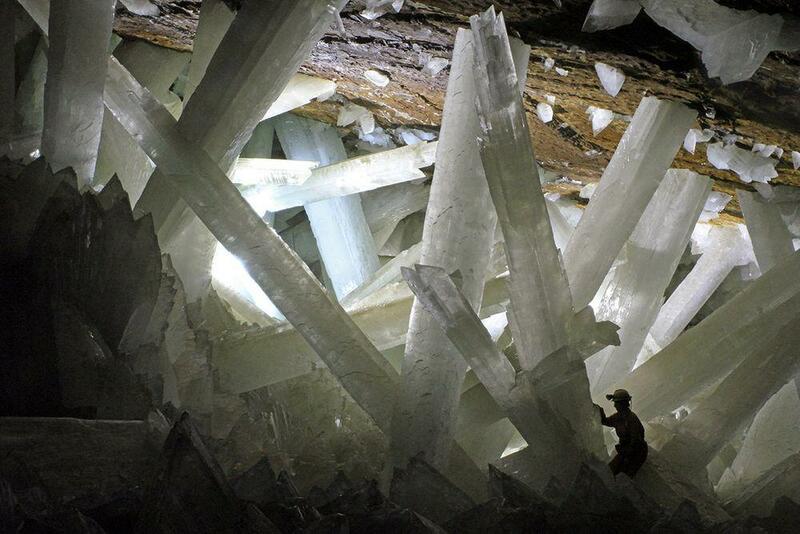 This is the only place on Earth where this beautiful natural phenomenon can be predicted. Roll clouds usually come here in the dry season, in September – mid-November. In this period Morning Glory clouds are seen often – approximately two times in each five day period. They might come in any other period of the year as well. Clouds come early in the morning in days when the air humidity is very high and when in the preceding day have been blowing strong sea breezes. There could be just one roll cloud but could come also seven – eight and more. Base of these clouds is often just 100 – 200 m above the ground (generally – higher), clouds themselves are approximately 1 km tall, 1 – 2 km wide and more than 100 km (even up to 1,000 km) long. They move fast – up to 60 km per hour. Each of the clouds comes with sudden wind squalls (10 – 15 m/s) which start with a quick change of wind direction and sharp atmospheric pressure jump. In the front of the cloud, there is a strong vertical upward motion of the air. Behind the cloud air sinks again. Thus the cloud rolls against the direction of its movement. As the cloud is above the head, there sets in an eerie silence. High moistness is needed to form a cloud. If the air is not moist, air masses behave in a similar way, they just are not "marked" with clouds. Such invisible, unusual whirls of air are especially dangerous for aircraft. Directions and behavior of rolling clouds are not uniform – every morning they will look different. There are distinguished three directions where they might come from – the most common is from the north-east. 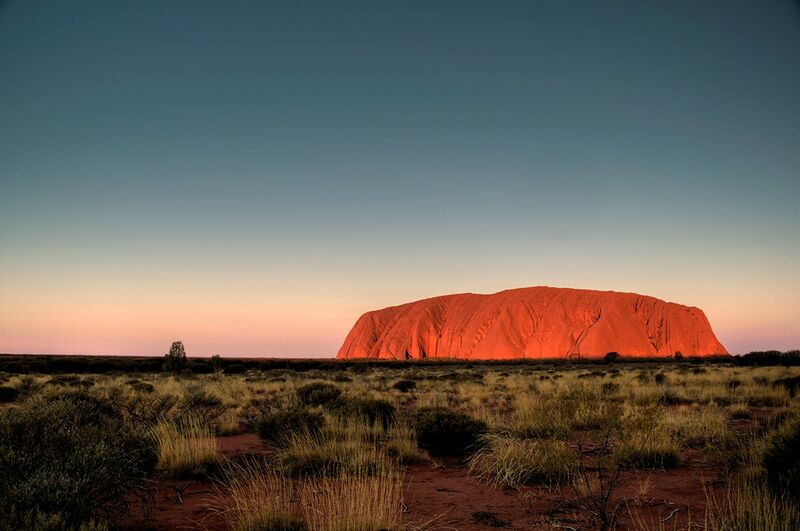 This part of Australia is remote and sparsely populated, there are not that many towns of significant size. This unusual phenomenon, of course, was noticed already long ago. Local Garrawa Aboriginal people called these unusual clouds – "kangólgi", the phenomenon was first described by Australian Royal Air Force personnel in 1942. One of the few larger settlements is Burketown town and town dwellers have used this unusual tourist attraction. It all starts with the Burketown Pub, by the way – a value by itself. This pub well serves as a local meteorological forecast system – upward curling of the corners of coffee tables serve as indicators of coming roll clouds. Thus visitors are welcome to sit for a while here, take some drinks and observe the conduct of the corners of coffee tables. When it becomes clear that clouds are expected, there is airfield with aircraft and helpful staff at the disposal of cloud admirers. There are several companies offering their services… but Wondermondo is not exactly a part of tourist business to list them here. Many scientists have been researching why Morning Glory clouds are seen exactly at the southern part of Carpentaria Gulf and why they are that rare elsewhere in the world. 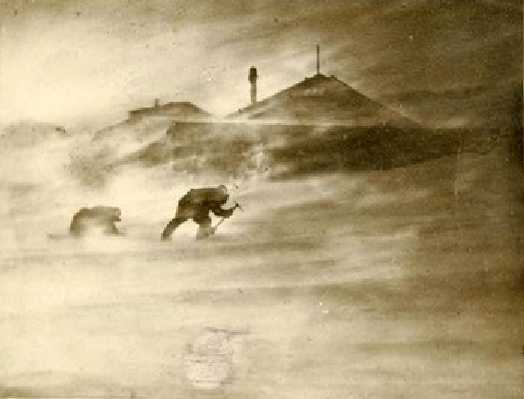 It seems, the first researcher was the great Australian meteorologist Reg H.Clarke, who became interested in this phenomenon in late the 1960s – early 1970s. Since then numerous scientists (such as Doug R.Christie, Robert A.Goler, Julie A.Noonan, Michael A.Page, Anne Porter, Michael J.Reeder, Roger K.Smith but also many others) have tested their knowledge, energy in field research and imagination and proposed different explanations. 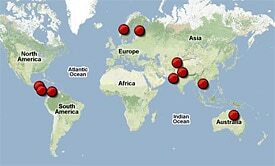 This research has led to a broader understanding of the application of mathematical modeling in meteorology, boundary layer phenomena in meteorology and other complexities of this science – and at the same time seems that no one is sure that convincing explanation of Carpentaria Morning Glory has been found. To the west from the Gulf of Carpentaria is located the wedge-shaped Cape York Peninsula. Sea breezes are blowing in both sides of a peninsula – it is large enough to form two independent breezes, one on each side. Both sea breezes clash above the middle of the peninsula and rise up. 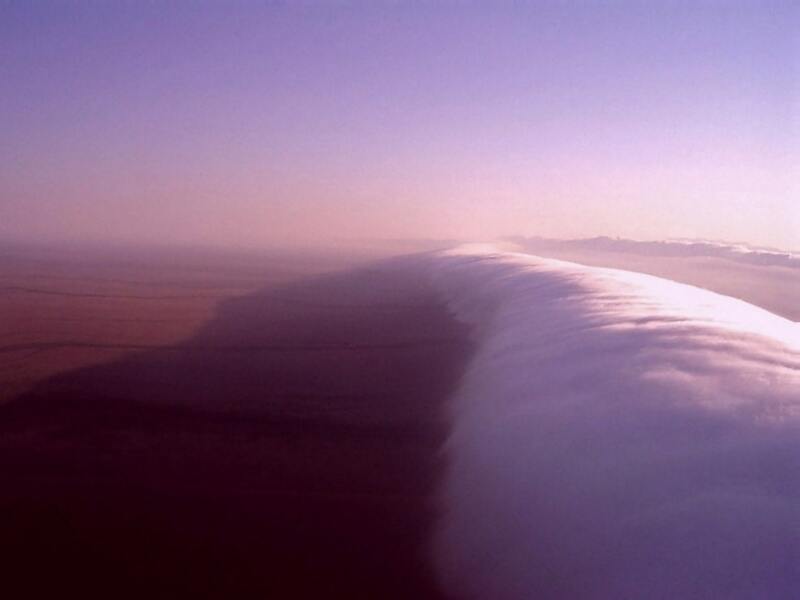 This clash and upward movement destabilizes the air masses – condensation of moisture takes place and there forms a cloud, which resembles a spine above the Cape York Peninsula – North Australian Squall Line. During the night the air cools down and descends above the peninsula. Cooled air from the Cape York Peninsula together with all North Australian Squall Line descends to the Gulf of Carpentaria. As this cooled air meets the inversed layer above the Gulf of Carpentaria, it dives below it. 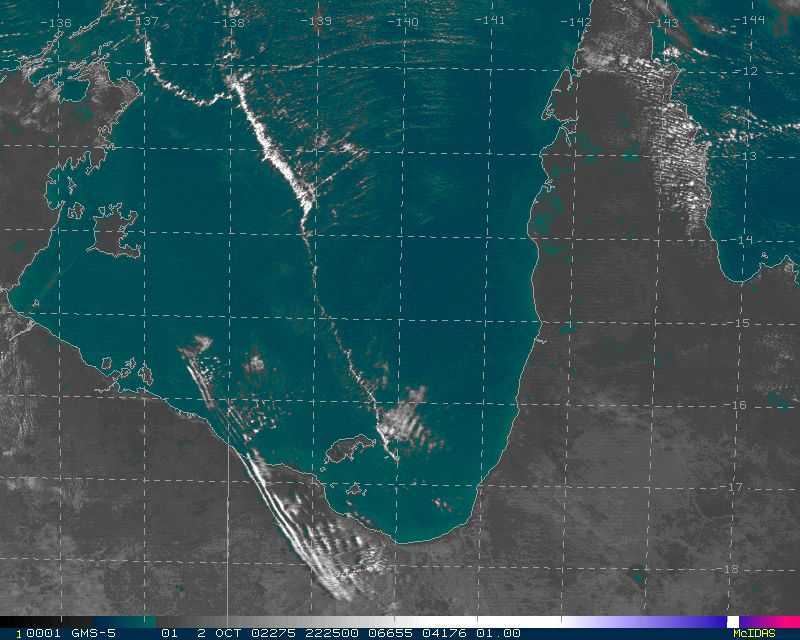 As the layer from peninsula is moving under the air masses above the Gulf of Carpentaria, there form series of waves which somewhat resemble ripples in the lake. This movement destabilizes moist air masses and clouds form at the contact of air masses. Clouds form exactly in the ripples. As the air masses move, these clouds are rolled between them, like children are rolling plasticine "sausages" with their hands. Another explanation (Goler and Reeder, 2003) is that the sea breeze from the east is more powerful and warmer and it overpowers the one from the east. As the warmer western sea breeze rolls over the cooler air masses of the eastern breeze, at certain conditions form roll clouds. Whatever the explanation, conditions over this remote part of Australia seem to be meteorologically unique and do not repeat elsewhere in the world. R.H. Clarke, R.K.Smith, D.G.Reid, The Morning Glory of the Gulf of Carpentaria: An Atmospheric Undular Bore, Monthly Weather Review, vol 109. Accessed 24.08.10. Robert A.Goler, Michael J.Reeder, The Generation of the Morning Glory, Journal of the Atmospheric Sciences, vol 61. Accessed 24.08.10.